Through random book serendipity, I came across the 2009 book The Talent Code by Daniel Coyle, and I’ve been reading about “talent hotbeds.” Coyle wanted to know why a certain Russian tennis academy produces a slew of champions, or the Dominican Republic a steady stream of baseball pros, or 1590s Elizabethan England an outpouring of great poets. He discovered that the answer is neither genetic mutations, nor climate, nor—I know this will come as a disappointment—aliens. The answer is practice. Naturally, we are talking about a certain kind of practice in certain kinds of circumstances. The book is a pleasantly breathless study of what creates motivation, what constitutes great coaching or teaching, and how we learn complex skills most efficiently. If you can put together the right elements, you might just set off a bloom of talent. I found this book intriguing as a teacher, a musician, and an occasionally nagging parent (“Practice your horn!”)—and I’m sure that athletes, too, would find it useful and even inspiring. What interested me most, though, was the idea of “deep practice” at the heart of the book. Efficient learning, the kind that results in exceptional talent, requires not just any practice, but deep practice. This is a focused, exacting form of skill-building, a kind of fierce meditation in action. Anyone can do it; you just have to learn how and then keep it up. The reason deep practice is so effective, Coyle explains, is myelin. Myelin is a sheathing that your brain uses to coat and secure a neural pathway when you repeat a skill. The more you repeat something, the more myelin your brain creates and the greater “bandwidth” you develop for that skill. When you practice well, you build myelin quickly, and you retain and improve the skill you’re working on. So don’t practice something wrong! Then you’re just building myelin for the wrong pathway! That third step implies that a necessary part of deep practice is making errors, lots of them, but always noting and correcting those errors immediately—that’s what takes enormous patience and concentration. Coyle observes, then, that failure is indispensable to the path forward, but only if responded to with focused attention. That brings me to another book I’m reading, also through the workings of book serendipity: Richard Rohr’s 2011 Falling Upward: A Spirituality for the Two Halves of Life. Rohr is a Franciscan priest and the founder of the Center for Action and Contemplation in New Mexico. In this book, he draws upon his decades of experience with spiritual direction in various cultures and contexts, as well as his scholarly, cross-cultural study of spiritual development. He proposes that human spiritual development seems to be divided roughly into two halves. In the first half of life, we are building an identity, learning the rules, being formed by structures. He calls it “creating a container.” The container is important and necessary, and healthy religious institutions help us build it. But in the second half of life, our mature purpose is to experience a deeper transformation—to put into that container the mystery of God. We don’t discard the container; instead, we “transcend and include” it. So how might we move from the first stage to the second stage? Failure. “Necessary suffering,” as Rohr terms it. No one is happy about this, but it seems to be the way of things. No use trying to approach this second-half task as a project, either, trying to engineer your own spiritual advancement. The shift has to happen to you—and it will, says Rohr. You will “fall.” “Spiritually speaking,” Rohr writes, “you will be, you must be, led to the edge of your own private resources” (65). That’s when God can get down to the real work of transformation: when the ego you’ve built finally gets out of the way. When you have no choice but to trust. 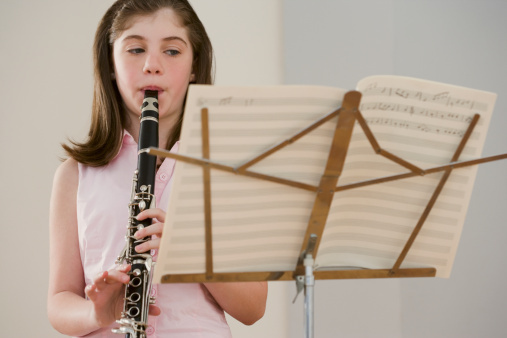 So it turns out that not only while practicing the clarinet, but also in the deepest spiritual realms, failure is indispensable to the path forward—but only if responded to with focused attention. As I read Rohr’s book together with The Talent Code, I’m pondering the possible connections. For example, I wonder about this idea of “deep practice.” Could what Coyle has discovered about learning tennis and violin somehow be applied to the faith life? Could it be that as we engage in worship and prayer, community and service, study and rest, we are building a kind of spiritual myelin? Perhaps this is what we mean by spiritual formation. Reading these two books together has made me deeply grateful all over again for my own religious upbringing and for a life rich with worship and other faith practices, shared in community. I have built a lot of myelin—or a strong container—and I’m glad! I’m also grateful for the current work in faith formation happening in Reformed denominations. We’re doing the right thing, clearly: trying to work on the habits with focused attention so as to strengthen the right pathways. But here’s a question: I wonder if we are building into our spiritual practices a way to prepare for second-stage faith. How can we emphasize that the forms and rules—the do’s and don’ts and rights and wrongs—are not for their own sake, but so that we might become friends of God? And, while we talk about sin plenty, how can we take seriously the idea that failures and wounds in life are an inevitable and necessary aspect of deep spiritual transformation? What practices would help us build myelin so that we are prepared, when we find ourselves falling, to “fall upward” and receive “the gift of this burning”?